As we look to the many belief systems out there, they all profess Love to a certain extent. However, when we take a closer look at the Love the each belief system professes, the teaching within the belief systems, they are all based on different parameters. Christianity is the only belief system that asks humanity to fight against its human nature, which is flawed, sinful, and selfish. It asks the Believer to recognize the this of the human nature, and asks for change from it, by looking to the Example of Jesus Christ, from the point of His Birth till His Death on the Cross. Jesus Christ, as the Son of God, gave up His Life, as the Ultimate Symbol of UNCONDITIONAL LOVE. His Earthly Life was not worth anything in comparison to His Divine Purpose, and that is to give Humanity one final chance to return to the God’s Eternal Kingdom, where they are to dwell in the Presence of God’s Throne Room. Since we are born as sinners, with a sinful human nature once Adam and Eve decided to follow Satan’s temptation and to rebel against God and His Instruction to them, we, as humanity, as long as we give in to the sinful human nature, are destined to the same fate that Satan and his demons have, and that is complete separation from the Eternal Father, which will ensure a journey to Hell. Jesus Christ was the last chance that God, the Father was giving to Humanity, and “His Ace” to save those of humanity that have CHOSEN OUT OF THEIR FREEWILL to go against the sinful human nature, and to follow the Divine Path to which the Divine Laws of Love dictate, which are ways of Unconditional Love, Mercy, and Forgiveness. It is a way of life that requires one to separate themselves from the ways of this world, because states that His Ways are not a part of this world’s ways. It requires a Believer to fight against the human nature that rebelled against God, the Father of Creation, just as Satan and his demons did. Those who have understood the Unconditional Love to which God, the Father of Creation demonstrated through His Own Son, becoming the Lamb for Sacrifice, that was slaughtered on the Cross, at Calvary, will understand that not only are we to change from our sinful human nature, we will also be transformed by it, in mind, body, and soul. This is why Jesus Christ, His Earthly Life Example, and His Death and Resurrection, are major tools to defy evil. The unconditional love of a person, is understood by all, however demonstrated by few. And this is what will separate those that will enter the gates of the Eternal Kingdom, and those that will take on the same fate as Satan and his demons, and that is of that of the Eternal Kingdom. The ability to Unconditionally Love can not be mimicked or even earned, it is something that is given by God the Father of Creation, to a soul that faithfully seeks and progresses in their spiritual journeys, which align to the Divine Laws of Love. It is not about a “religion”, when we talk about the ways of Jesus Christ. Jesus Christ was a universal figure. However, He did show Love in a way that EVERYONE could understand. Unconditional love is sacrificial in nature, it denies the self. It denies “what is natural” because it recognizes the sinful human nature. Any other faith that encourages to embrace this sinful human nature, will not know what it means to unconditionally love, or to receive it. I have personally come to understand this on a personal level, which makes me understand the people I encounter as I walk this earth. Everyone yearns to be unconditionally love, however, very few have the strength and courage to demonstrate it. Unconditional love means to love beyond circumstance, and beyond your benefit. It is about putting God’s Ways first, and your ways/whatever feels good to you, last. It is about forgiving even those who cause harm to you, and to love those that you do not even know with the same intensity of those that you do know quite well. There is no difference. This will be devoid or will not be solely depend on how many charitable donations that you do, kind acts that you do, or even being a good person. It is the kind of love that is felt, by anyone, even the coldest of hearts. It is something that those who seek “positive energy”, when they have some “negative energy” of their own. It demonstrates a nature that is simillar and as simple as a childlike mentality, and is seen as WEAK to those who follow the “natural” sinful human nature. Even evil itself, can not deny the truth behind unconditional love. In fact, it only angers it, because it further demonstrates how wrong it is, and how correct God was about humanity, and the original greatness that God created humanity to be. Through His Earthly Death, by becoming the Lamb Sacrifice for Humanity, Jesus Christ was the Ultimate Symbol of Unconditional Love, when He died on the Cross. He died for all of Humanity, in order to give it another chance to enter the Eternal Paradise. God is a loving God, however, He also means business in the purity that He stands for. Therefore, that that CHOSE to willingly rebel against Him, will suffer His Eternal Wrath, just as Satan and his demons have. Satan will throw everything in his tool belt to throw especially God’s Spiritual Army off of the Path back to God, the Father. However, by looking to Jesus Christ as our Commander in Chief, we will endure, till He returns. And Jesus Christ Himself, was not exempt from even an earthly death, then we must expect to endure in the same way, as members of God’s Spiritual Army, as His Soldier of His Unconditional Love. When people view Jesus Christ, they apply the sinful, flawed human logic to explain how the “Son of God” or how a “son of a god” should have appeared in the earthly sense. If God, the Father of Creation states that His Ways are not of this world, but are beyond them, then why would He send His Son, to do His Purpose, in accordance to the ways of this world? This is why the Son of God, Jesus Christ, took on the earthly life that He did. This was God’s Final Attempt for humanity to CHOOSE the Divine Laws of Love. This is why Jesus Christ said, “It is done”. Satan knows this the most. This was “the Ace” that he did not see coming. He thought he already won against God, the Father of Creation, once he and his demons introduced sin into humanity. He thought that his revenge to God, the Father for throwing him out of His Eternal Kingdom, was complete by doing this, however, Jesus Christ demonstrated that there was members of Humanity that will prove satan and his demons wrong, and fight the human nature, of “what comes natural” to them, and prove God right that humanity was meant to dwell in the Throne Room, because they CHOSE to. 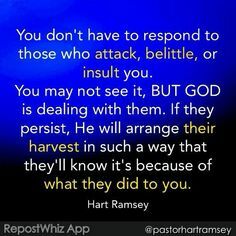 This entry was posted in Thoughts and tagged Armor of God, Battling Evil, compassion, Conditional Love professed by evil, Devum, discernment, Earth, enduring trials, Evil, evil ways are temporary, Faith, Fight over souls (good vs. evil), God's Love, God's ways are permanent, God's Wrath, Good vs. Evil, Guidance by the Holy Spirit, Jehovah, Jesus and His Crucifixion, Jesus Christ, Jesus Christ the Ultimate Symbol of Unconditonal Love, Listen for God's Call, Path to Truth, Persecution, Satan's deception, Spiritual Battles, Take up your Cross, Unconditional Love, Unconditional Love professed by divinity, Unconditional Love vs. Conditional Love, Unconditional Love=Divine Source, Yahweh, Yeshu Christu, Yeshua, Yeshuay on August 8, 2018 by foodforthespiritualsoul.